Presently worldwide over one billion people live on less than $1.25 a day. These people constituting the global Base of the (socio-economic) Pyramid (BoP) live mainly in developing countries, where state institutions usually are weak and ineffective and in consequence mainly rely on self-supply, subsistence agriculture and private markets to provide for their livelihoods. Markets at the BoP, however, often neither work in favor of the poor nor meet their needs appropriately as they participate in them as consumers or producers. Since 60 years, developed and developing countries, international and non-governmental organizations have been trying to fight the deplorable conditions billions of human beings are living in, yet achievements are mediocre and ambivalent as to actually lifting people out of extreme poverty. In the modern aid system only recently new market-based approaches for development have been introduced with the rationale to create and/or change markets to work more effectively and sustainably in favor of the poor, improve their livelihoods and consequently reduce poverty. 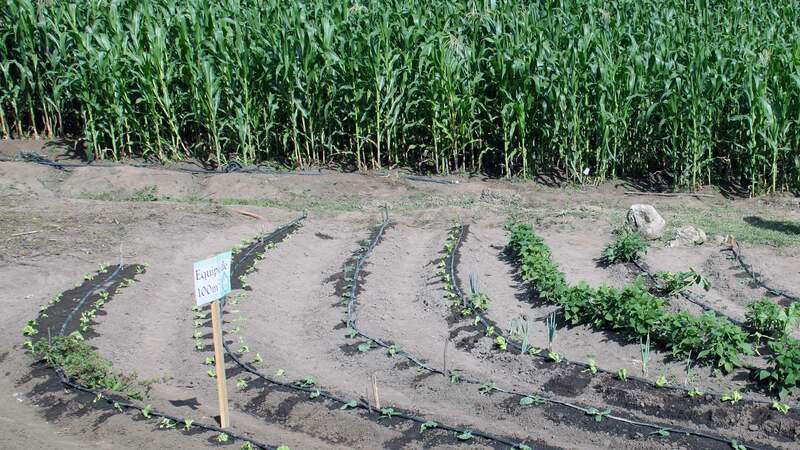 This master thesis presents the theoretical rationales and practical implications of a market creation approach for low-cost drip irrigation technology at the BoP in a general manner as well as specifically for the case of smallholding farmers in Kyrgyzstan. Based on past and present scientific literature and empirical observations made in India and Kyrgyzstan, the thesis argues that by providing poor people with productivity enhancing products and services at market prices, it is possible to create a win-win situation both for private businesses and the poor. For a market creation approach it is, however, not sufficient to purely rely on private actors, but public institutions need to step in with financial support at least at initial stages. In addition, due to the high complexity of market systems, various forms of public-private cooperation are necessary in order that a market can become beneficial for the poor in a sustainable manner. The approach outlined here thinks of the poor as capable entrepreneurs and value conscious consumers that need to be actively involved in markets and commercial activity in order to be lifted out of poverty. Products or services for the BoP in consequence have to be designed according to real needs and with an adequate cost-benefit ratio. And they must be marketed by effective promotional strategies that allow efficiently using the limited public funds of a market creation program. Eventually sustainably implementing such programs at the BoP and thus successfully alleviating poverty can serve as an exit strategy for development assistance and allows by passing its most predominant controversies.